Some of the first symptoms of aging are sagging skin on the neck and the face. They can happen for a variety of reasons, but as you age, your skin loses elasticity and firmness. With that in mind, we do not want you to try and gently pull back your skin on the face every time you look in the mirror. Instead of praying it stays there, you can do something about it. Today, we will talk about how to tighten face skin. With that in mind, there are both invasive and non-invasive methods. Depending on the severity of your sagging skin, you might need an invasive method. But if you make some changes in your lifestyle habits, you can prevent sagging skin in your young age. And even in the middle years, some natural remedies can help to tighten face skin. One of the most important aspects of how to tighten face skin is to follow a healthy diet rich in minerals and vitamins. Fruits and vegetables are your best friend, as they contain a bevy of antioxidants that can prevent aging symptoms, including sagging skin, wrinkles, and fine lines. Go for some of the superfoods like berries, kale, spinach, passion fruit, citrus fruits, pears, broccoli, apples, and watermelon. In addition to consuming fruits and vegetables, you also need to stay away from foods that can contribute to more oxidative damage to your skin. Those include salt, sodas, alcohol, and fried foods. Topical ointments are a common strategy for fighting sagging skin and trying to regain firmness and elasticity. But not every cream do the trick. 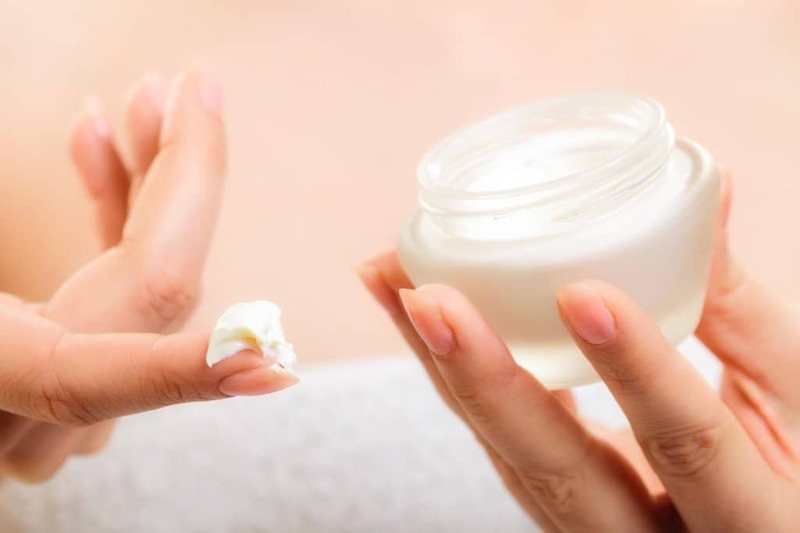 What you want is to use creams and lotions that contain keratin, vitamin E, and similar ingredients that hydrate the skin and enhance collagen production. Some of these ointments come with the promise of “immediate results”. Do not trust them. There is no such thing as an immediate result unless you go under the knife for surgical treatment. Stick to moisturizing creams. The results might be subtle, but if you use them on a regular basis, your skin’s firmness will be back. We mentioned above that moisture is key to regaining and maintaining the firmness and elasticity of your skin. You need to keep hydration levels high from outside, and from the inside. Speaking of inside, you should aim to drink eight glasses of cold water per day. Water helps flush out toxins, provide moisture, and makes you feel fresh. Exercise is the key to growing your muscles. Well, that applies to your facial muscles as well. Some call these exercises “facial yoga”. You can call them whatever you like, as long as you perform them on a regular basis. Facial masks are another skin care treatment that is popular among people that want to know how to tighten facial skin. Nowadays, you can find many facial masks on the market. Or, you can always make one at home using natural ingredients. What you choose is up to you. With that in mind, here are some natural facial masks you can try. 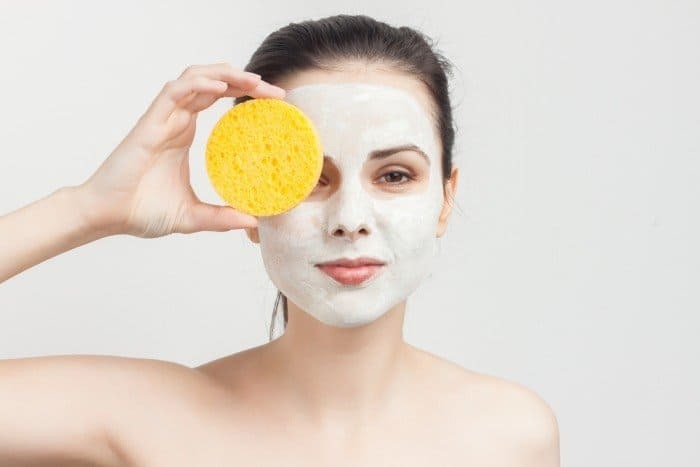 Whatever mas you choose, apply to a clean face, leave for 10 to 15 minutes, and then rinse away. In addition to applying facial masks, you can perform a facial massage. Usually, the best facial massage is with oil. We recommend using olive oil, as it contains a lot of minerals, vitamins, and antioxidants that will nourish and moisturize your skin. Massage the oil into your face for one or two minutes, and then rinse with water. Sometimes, the best way to tighten skin is to just avoid the things that contribute to sagginess. One of those is smoking, as it can speed up the aging process of your skin. Smoking breaks down collagen and elastin and deprives your skin of oxygen. If you want firm and healthy skin, avoid smoking as much as possible. Sun exposure can also do damage to your skin. We know that sun exposure helps our skin produce vitamin D. And while some mild exposure is great, overdoing it can do more harm than good. 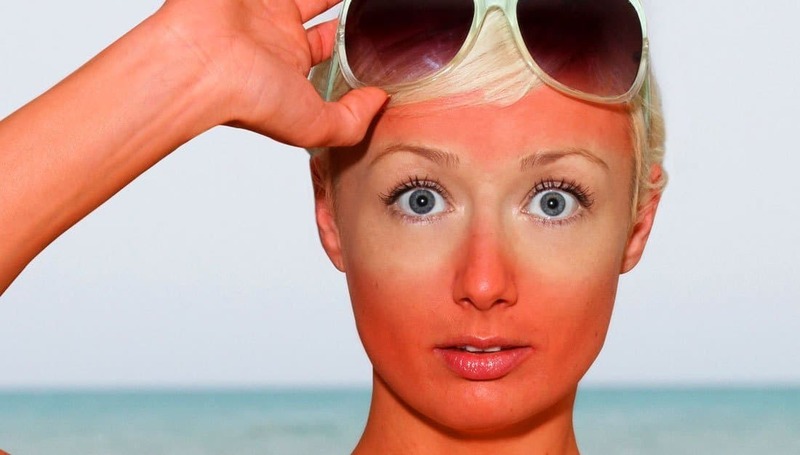 Do not expose your face to the sun for more than 15 or 20 minutes per day, as it can strip your skin of its natural oils, and result in wrinkles. If you need modest lifting and tightening of your skin, there are many non-invasive skin treatments. Now, these are not natural treatments like a facial mask. These procedures leave your skin intact, and you won’t have a puncture wound afterward. Non-invasive skin treatments provide results gradually, they are safe for people of all skin and can be used anywhere on the body. Some people report side effects like swelling and redness, but generally, the non-invasive treatments are considered safe and secure. These procedures give faster results, but they are not the surgical procedure like a facelift, eyelid surgery, or neck lift. But they require less downtime than surgery, and the risk of side effects is almost minimal. During these treatments, you will be sedated.